The process of painting pressure-treated wood isn't wildly different from painting other types of lumber. But there are special requirements here—most of all, the job calls for patience. Thinking of putting some paint on that deck you just built? 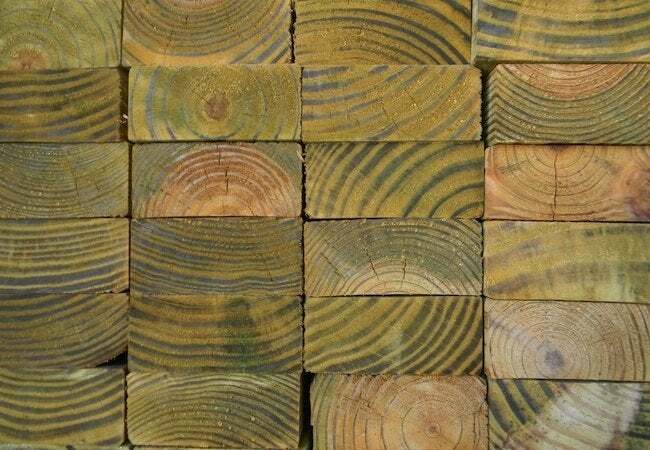 If you used pressure-treated lumber, you’ll need to approach the job a bit differently than you ordinarily would. First, put a coat of preservative on the wood. And not just any preservative. Home stores carry preservatives especially formulated for pressure-treated wood. The next thing you’ll need to apply is a bit of patience. That means waiting about three months before you paint. That’ll give the chemicals in the wood time to dry properly. Once the wood has finished curing, it’s time to head to the paint store. Choose a paint that’s specially formulated for covering pressure-treated wood. Although you can use either oil- or latex-based, latex is probably the better choice, since it expands and contracts with the wood and is less prone to cracking and peeling. Avoid the temptation to apply all the paint in one thick coat. You’re better off applying several thinner coats, using a brush and—if practical—a roller with medium-to-long nap. Make sure that between coats, you allow plenty of time for drying.